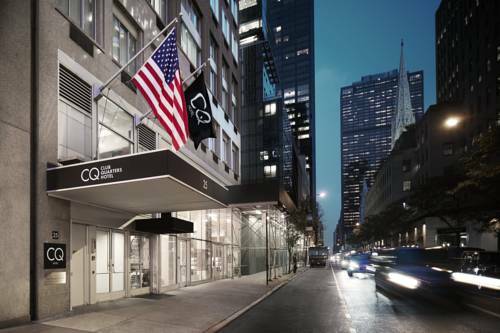 Club Quarters is located opposite Rockefeller Center - steps away from the famous skating rink - Christmas tree - St. Patrick s Cathedral - Saks Fifth Avenue - Museum of Modern Art and Radio City Music Hall. Minutes from world class shopping - restaurants and entertainment. Club Quarters is the best value for a full service hotel in a prime city center location.